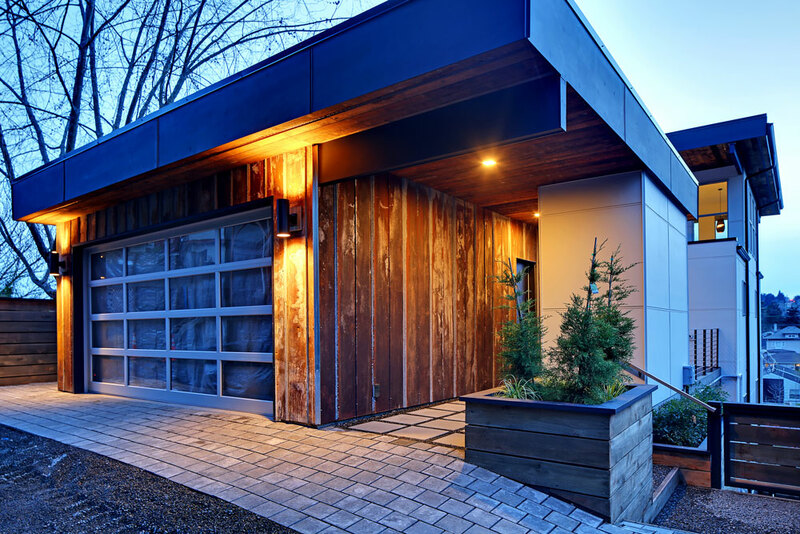 On April 29, the Modern Architecture + Design Society opens the doors to the 2017 Seattle Modern Home Tour. 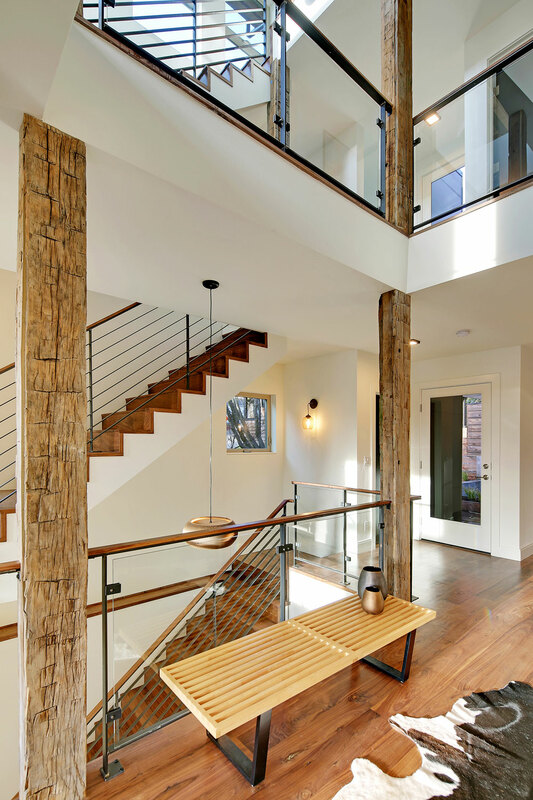 This is your chance to tour the properties, meet the architects, and talk to the homeowners of some of Seattle’s most forward-looking home designs! Enjoy the day supporting local Seattle architecture + design! Presented by Barcelo Homes Inc. 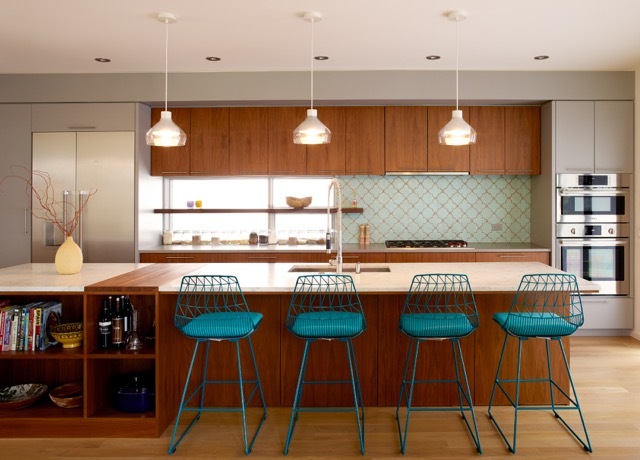 This residence is a contemporary home located in the Madison Park neighborhood of Seattle. 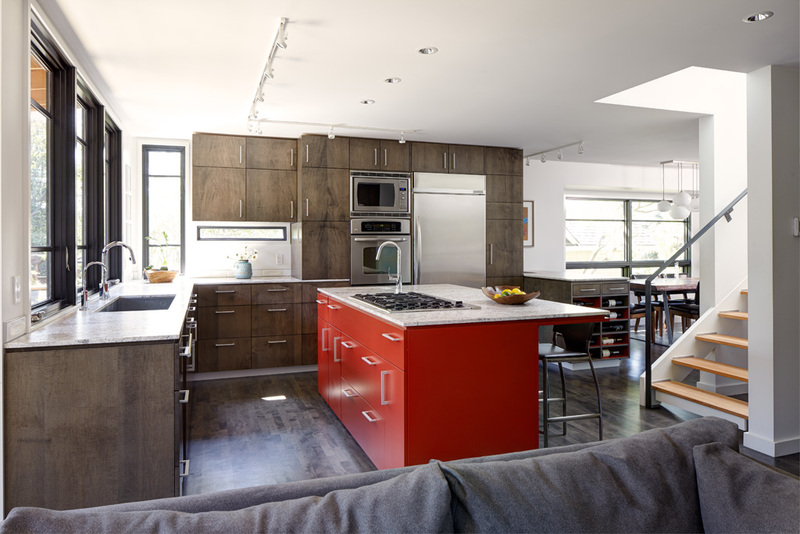 Featuring design by Mark Wilson and Gloria Andrade (who also designed the 2016 Tour’s amazing houseboat Tour home), the core of the house is a courtyard along the south side in the center of the site that brings light, private and entertaining outdoor space that serves as an organizational hub for the interior spaces. The house opens up to natural light but maintains privacy while the landscape and a waterfall create a tangible calmness in the home. The concept grew from this premise. 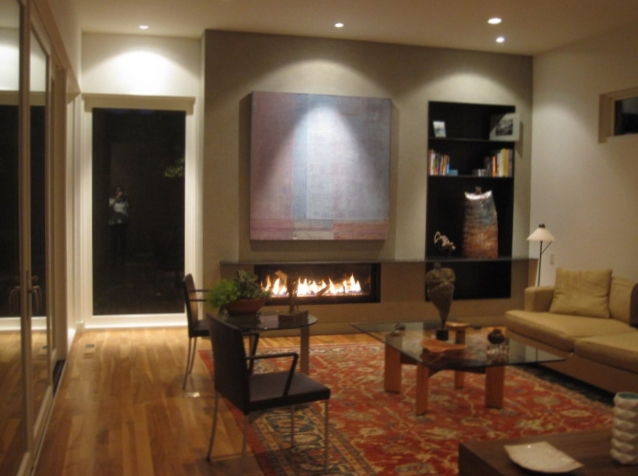 Passive design strategies were considered on the design taking advantage of the orientation, daylighting, natural cross ventilation and solar energy to maintain a comfortable temperature range in the home to provide energy efficiency and to promote passive heating and cooling. Conceptually, the design of the house evolved into a simple composition of three boxes around the private courtyard. The house has three levels. On the main level, we designed an open and generous receiving area that connects with the living room by one side, and an open kitchen and dining area in a direct line of access from the front of the house, as well as a generous master suite with a private garden at the rear, and a master bathroom with a view to a near outside pond that is an important feature that we created on our first initial concept. The pond, which has a sculpture from an artist, is also visible from the front entry of the house. Floor to ceiling glass openings were incorporated into the design around the courtyard to reinforce the interior to exterior adjacency and engaging a visual connection to the landscape. The upper level accommodates the two bedrooms and the spacious bathroom. The floorplan maximizes the use of space while simultaneously creating transparent light to provide the maximum sunlight. The basement was not part of the original design. However, it was added when the ground necessary for supporting the house construction was 8 1/2 feet below the surface. 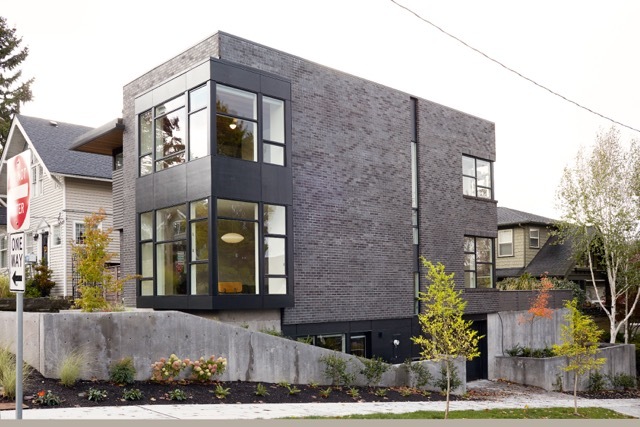 This Phinney Ridge home took advantage of zoning guidelines to construct a new home that fit within the existing home’s building envelope, resulting in a compact footprint on three levels. 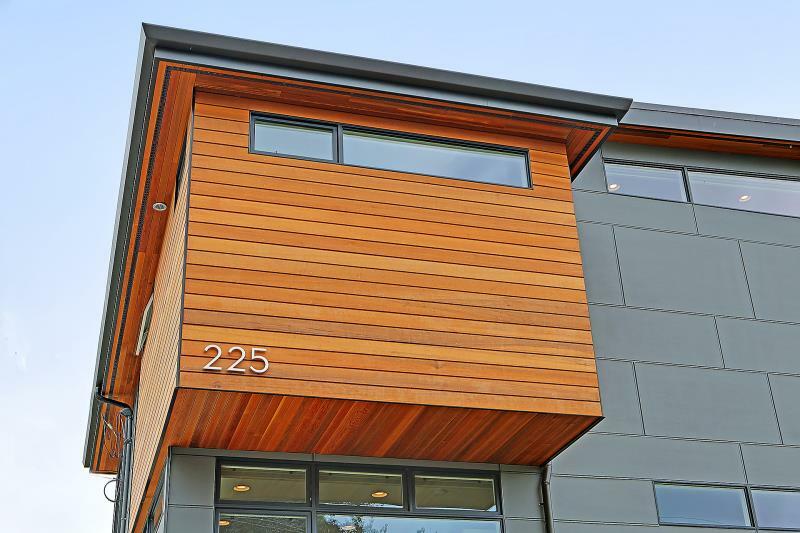 The site, on the west slope of Phinney Ridge, takes advantage of views towards Ballard and the Olympic Mountains beyond. 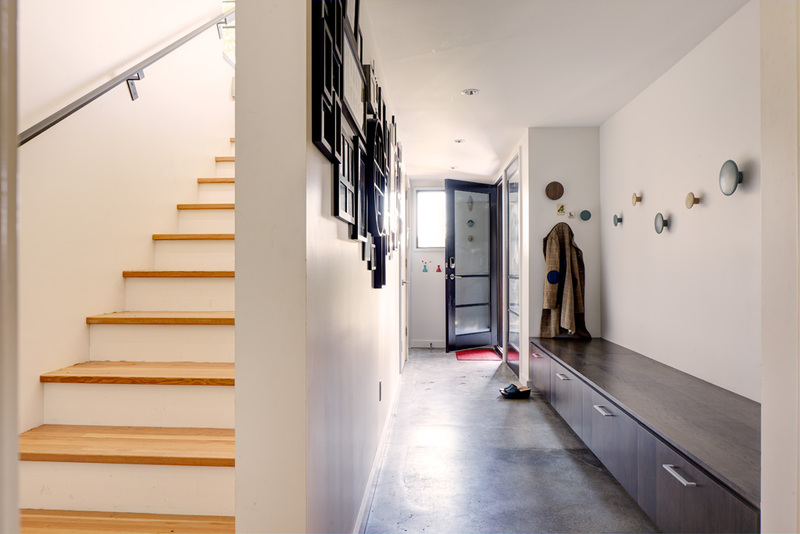 The entry provides shelter from the weather, and ample closet space, and leads you into the main level adjacent to the open stair. 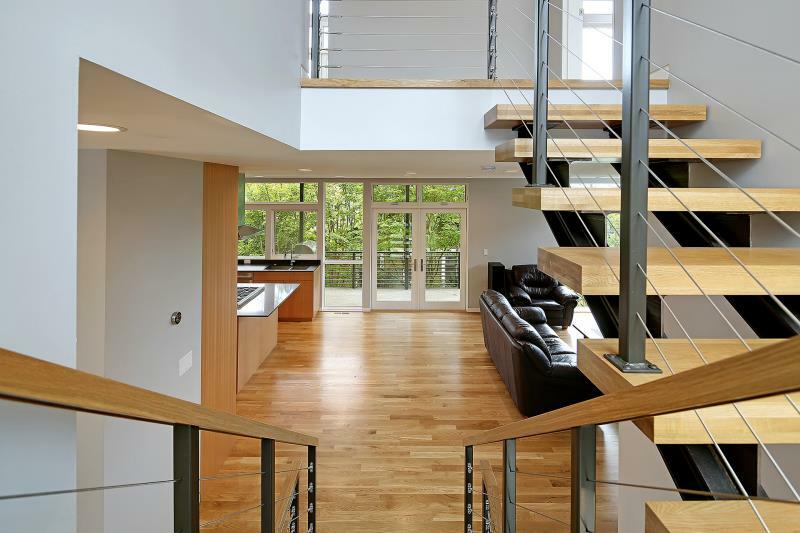 The centerpiece of the home, the steel staircase is open and inviting, with large windows to allow light in from the east. The main floor boasts an open living/dining/kitchen area, with generous windows and balcony across the entire west façade. A guest room on this level doubles as an office, and a powder room is tucked away by the entry. The lower level is planned as a recreation area, with a home theater and room for game tables. There is an additional bedroom, and full bathroom on the lower level, as well as utility spaces. The upper floor has a dramatic ceiling, pitched up to allow expansive views to west and clerestory windows to the east. The master suite has a full wall of custom casework, and a small secondary closet, as well as a generous 5-piece bathroom. A rec room, additional bedroom, and bathroom complete the upper level. 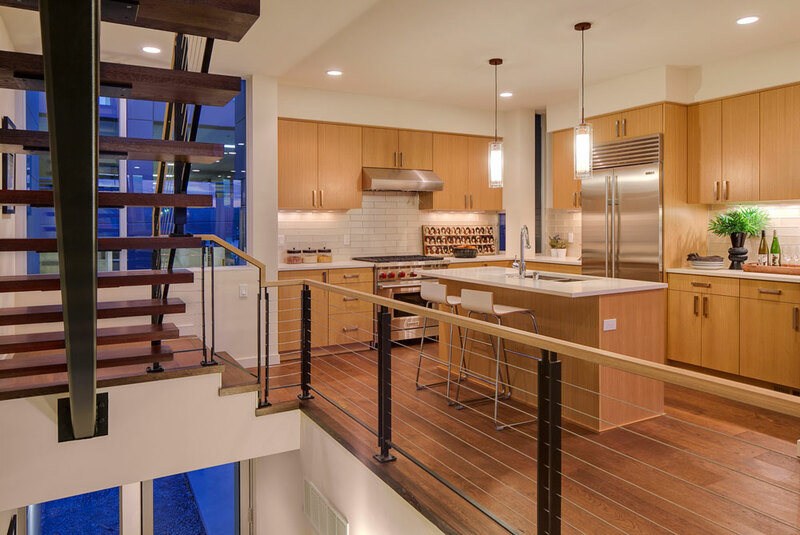 This is an urban retreat atop Seattle’s Queen Anne Hill. The property is just 3600 square feet, allowing a very tight fit for the house and garage. The main floor encompasses an open plan with entry, living, dining, and kitchen spaces, plus outdoor living areas. The deck is protected by a large cantilevering floor and roof above. Master suite plus childrens’ bedrooms, bath and laundry occupy the second floor. In the lower level, there is a guest bedroom and bath plus playroom and one car garage. With an emphasis on clean, modern lines and durable materials, the exterior materials include brick, fiber-cement siding, and aluminum-clad wood windows and doors. The Residences on Fairview is a limited collection of 21 attached residences on fee-simple lakeside lots. The Residences are located on Wards Cove on the only 5-acre waterfront site that allows for a contiguous shoreline residential development that offers panoramic views. 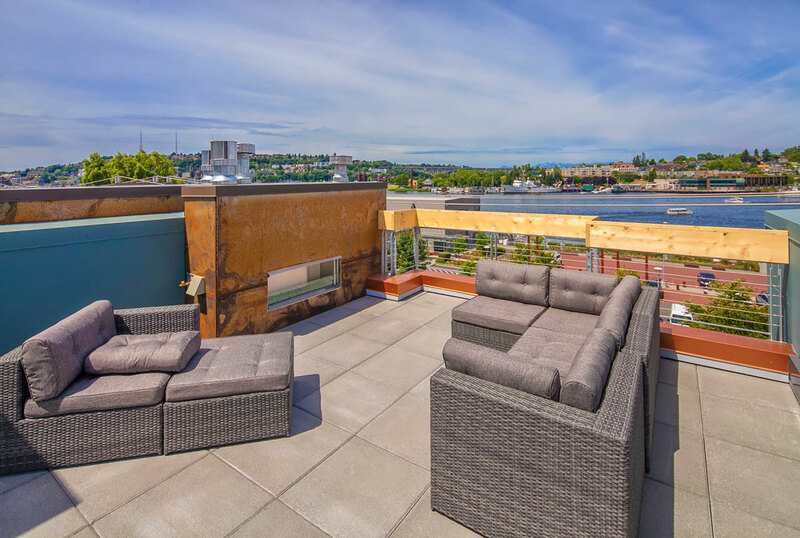 From the beginning, the design and development team focused on creating a highly crafted multi-family boutique development, establishing a new landmark on the eastern shore of Lake Union, with a signature Seattle western view. No two of the units are exactly the same, while working off a basic kit of parts. 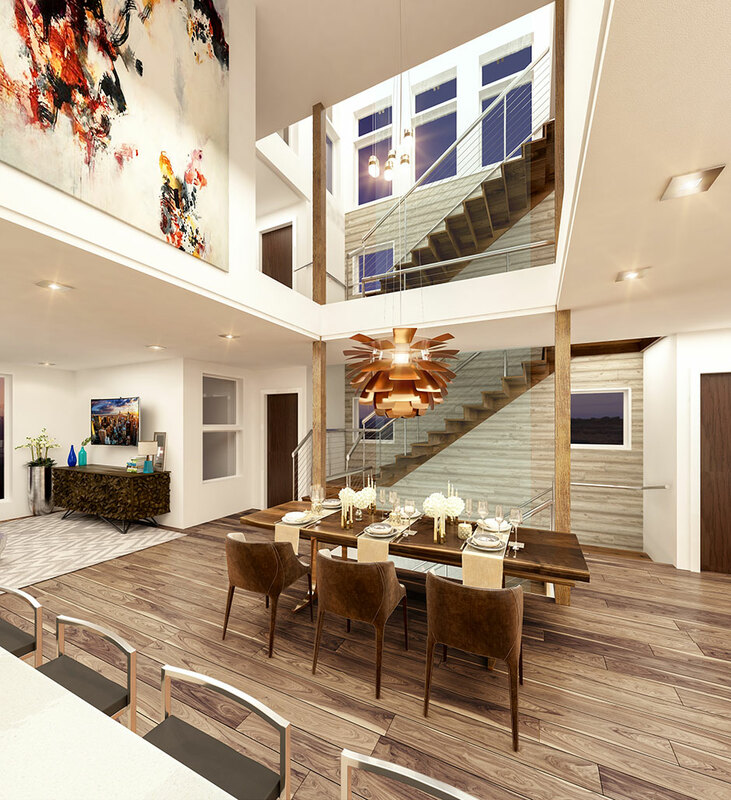 Living areas are on the upper floors, both indoor and outdoor, with guest bedrooms or home office entries off of the ground level. Homes also have outdoor living areas on the roofdecks and private terraces at the ground level. They feature private garages, options for in-home elevators, green roofs, outdoor rooftop grilling, and boast the most fabulous lake views and roof terrace. The project is part of the overall Wards Cove site, acquired from the Brindle family, owners of the Wards Cove Packing Company. Over three generations, the family has been assembling the land for the last half century. The location was utilized by their salmon fishing operations until they reclaimed the waterfront site for the marina and commercial redevelopment. It consists of about five acres, over 1,000 feet of waterfront, and includes, the marina, the marina club, offices, 12 floating home sites and the 21 lakeside residences. 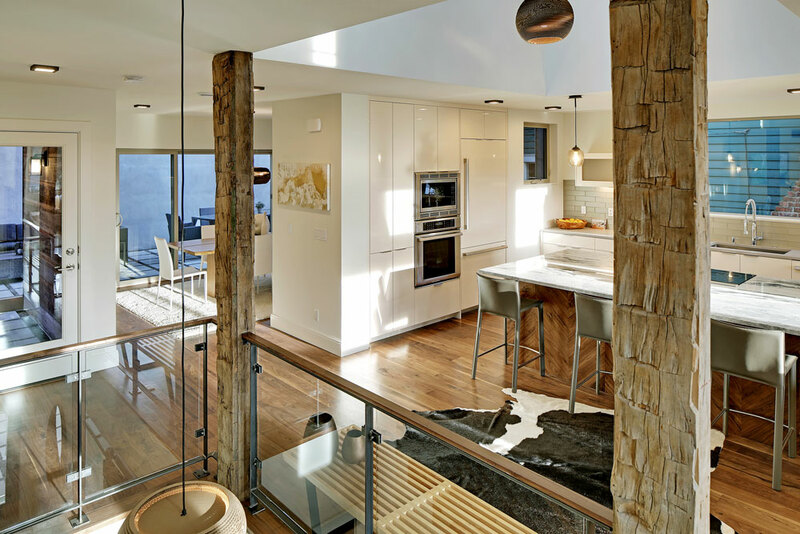 All homeowners will have access to the amenities, which include moorage opportunities, a conference/event room facility, a furnished suite for overnight guests, a fitness center and ample storage for paddleboards, kayaks or bikes. 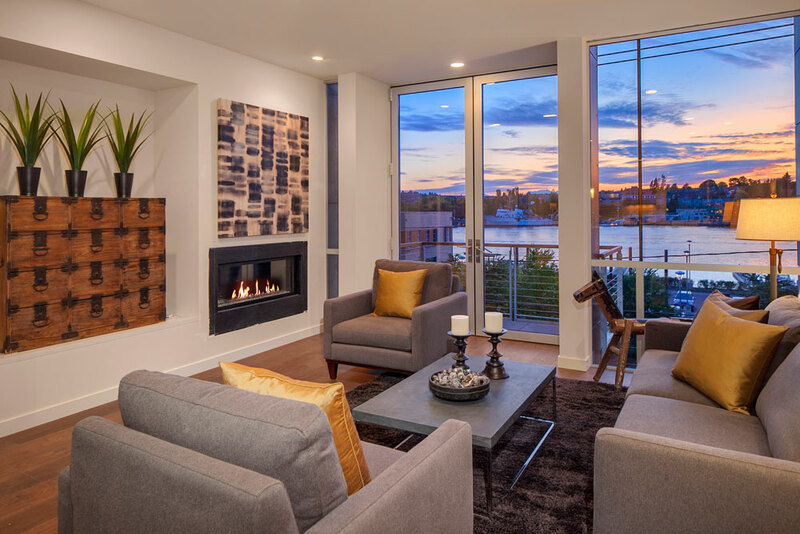 The Residences create a “quintessential” Seattle place – with iconic views: of Gasworks Park, float planes, crew shells, sailboats, and a connection to the water: a celebration of the outdoors, in the middle of the city, just ten minutes from the heart of downtown Seattle. 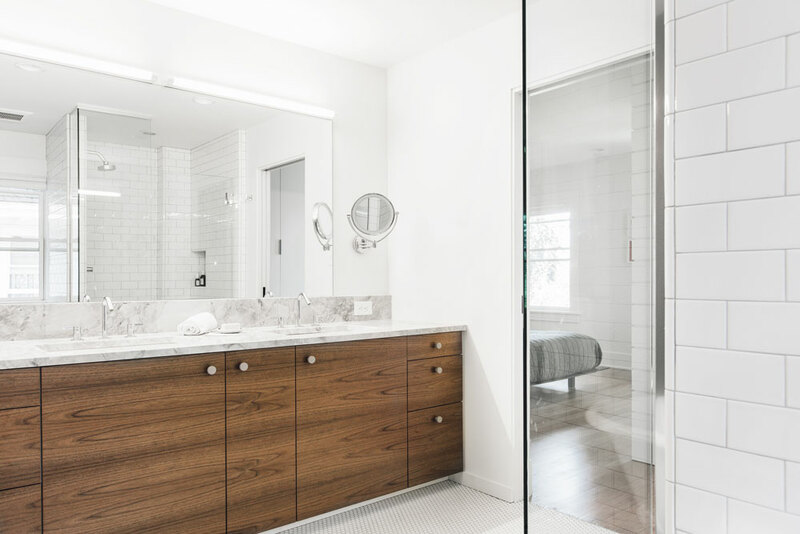 In the Roanoke Park neighborhood of Seattle, the Best Practice design team was asked to modernize and breathe life into a 100-year-old grand house for a sophisticated and stylish family with two young boys. Although the stately house had much to admire, at the time of purchase it was extremely outdated and in dire need of a refresh. We approached the complete interior remodel with a genuine sense of reverence for the original character and craftsman details, but with an aim for the unconventional. The design consisted of rigorous attention to clean and simple details for the new inserted design elements along with isolated and highly curated moments of color and material whimsy. On the main floor, a warren of weird closets was removed to open up the kitchen to the dining room while keeping a vintage built in hutch that ties the two rooms together. 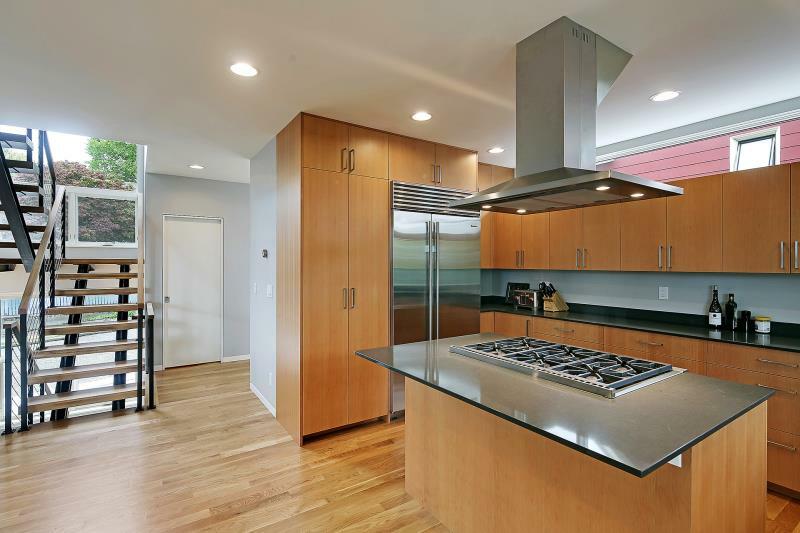 The kitchen was completely updated, including all new cabinets and a new central island, but preserved an existing glass atrium to the west, creating a light filled and functional workspace with seating. 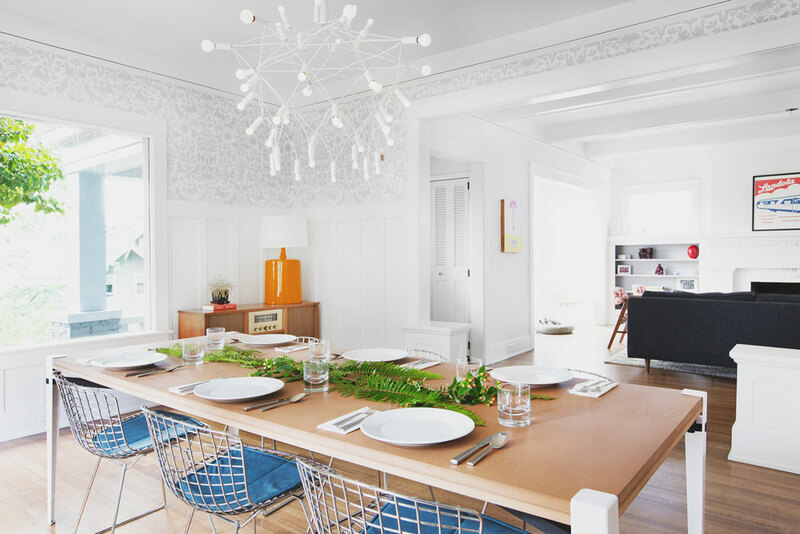 The remainder of the main floor received a fresh coat of paint and the dining room was outfitted with a new toile wallpaper that works with both the original character of the house and the contemporary makeover. Flowing up the beautiful, open stair with original stained glass windows to the upper level, an unused storage cabinet was transformed into a hidden reading nook with peek-a-boo view to the kitchen. The upstairs landing was reconfigured to suit our modern family, leading to the new master suite, new storage closet, and 2 new bedrooms with a Jack-and-Jill bathroom. 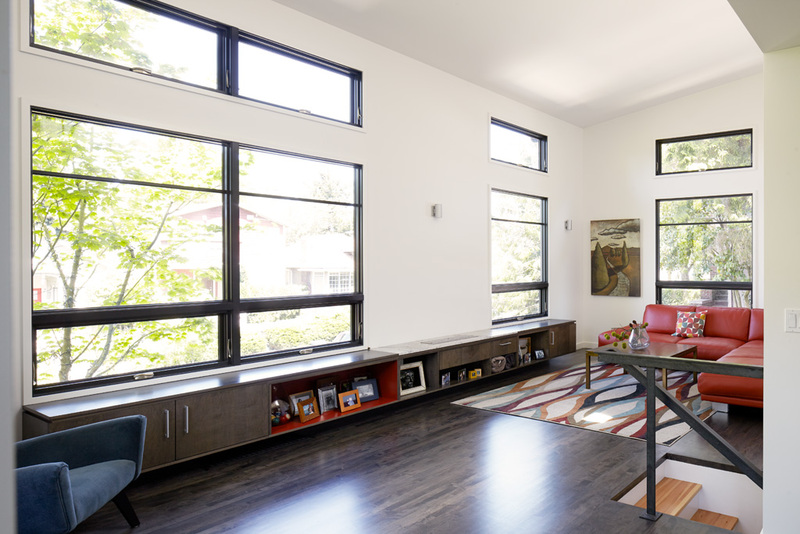 The old sleeping porch, complete with original divided-light casement windows was transformed into a sunny home office that overlooks the backyard. While the layout is very contemporary in organization, great care was taken to highlight and sometimes contrast the existing and very traditional details of the house. Original doors, many of the windows, railings and hardware were carefully salvaged, cleaned and reused in conjunction with new elements. 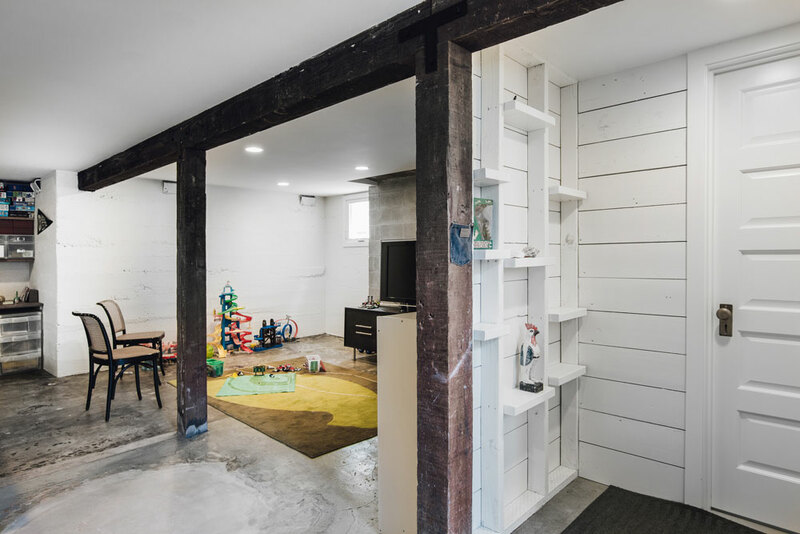 Renovation in the basement included the removal of outdated heating system and cold storage in order to create a guest suite with ¾ bathroom, an enlarged laundry room and multi-use play area for the busy family. 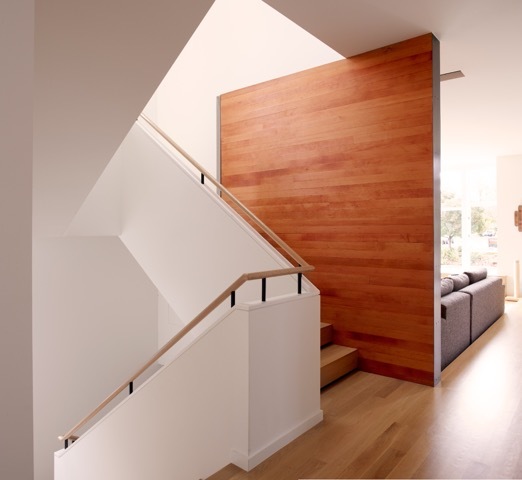 bARC was challenged with renovating and adding to an existing home in a modest Seattle neighborhood, without creating a house which was out of scale with the rest of the homes on the street. Removing the applied postage stamp entry, bARC reorganized the family’s circulation and living patterns to activate long forgotten spaces. The new lower level entry serves the family’s day to day lifestyle, extracurricular activities, and desire for a welcoming entrance for cocktail party guests. 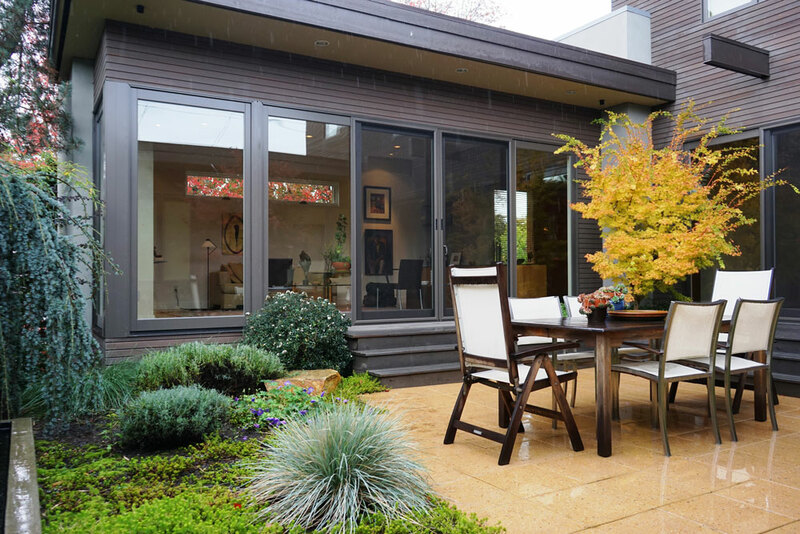 The back of the home was extended into the backyard and the threshold between interior and exterior spaces was broken down into a seamless transition. bARC intentionally avoided an uber modern aesthetic and instead developed an interior and exterior vocabulary of craft and detail which captures an understated northwestern contemporary sensibility. 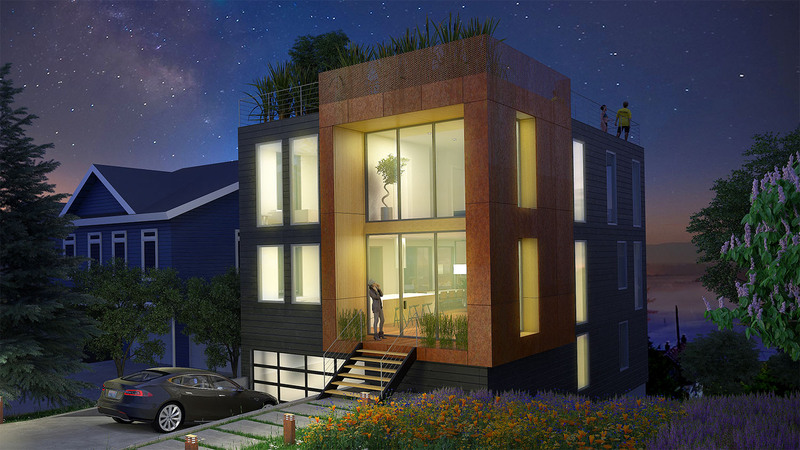 Dwell Development presents this high performance luxury 5-Star Built Green modern home. This stylish and spacious approx. 3,455 SqFt – 4 bedroom, 3.5 bathroom home features fabulous western lookouts and lofty entertainment areas including a deck, grotto, and patio. 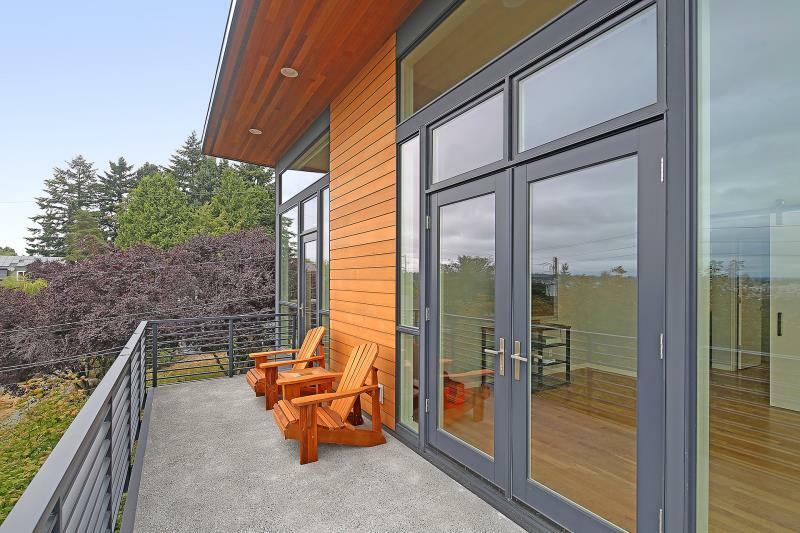 The modern home us perched off a quiet residential street and designed to capture views and natural light. There is convenient alley access to a detached 2-car garage. Located west of Hunter Blvd and the Mount Baker neighborhood retail district.